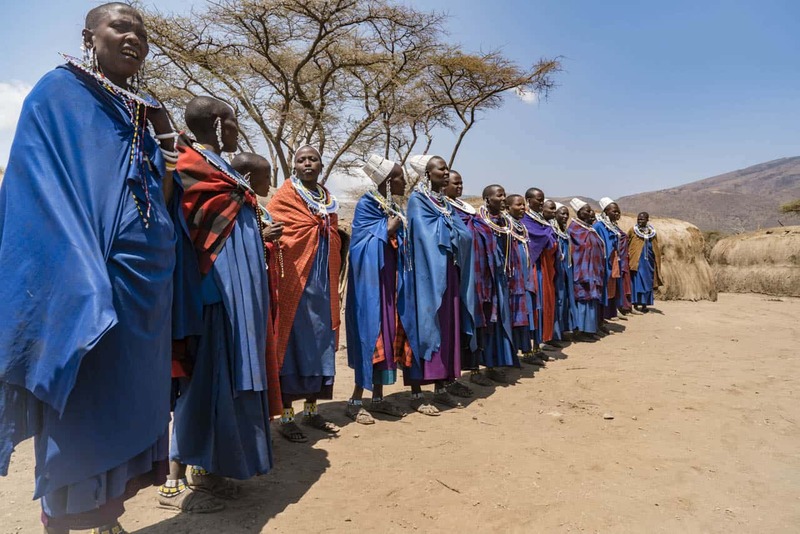 A visit to a Maasai tribe is a popular stop on nearly every safari you'll take through Tanzania and Kenya. After all, it is the “must see” tribe to see when going to the Serengeti or Masai Mara. This is the tribe that is in all the brochures and magazines. 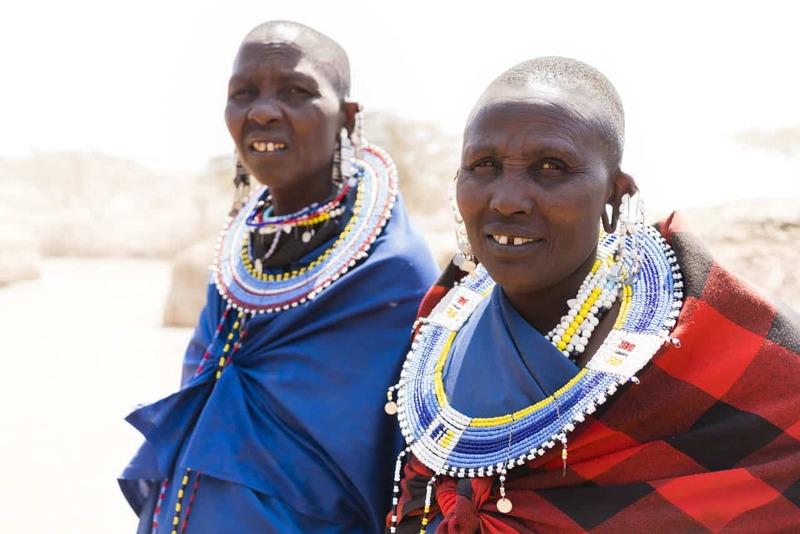 While we highly recommend stopping at a Maasai village, there are a few things you should know before you go. 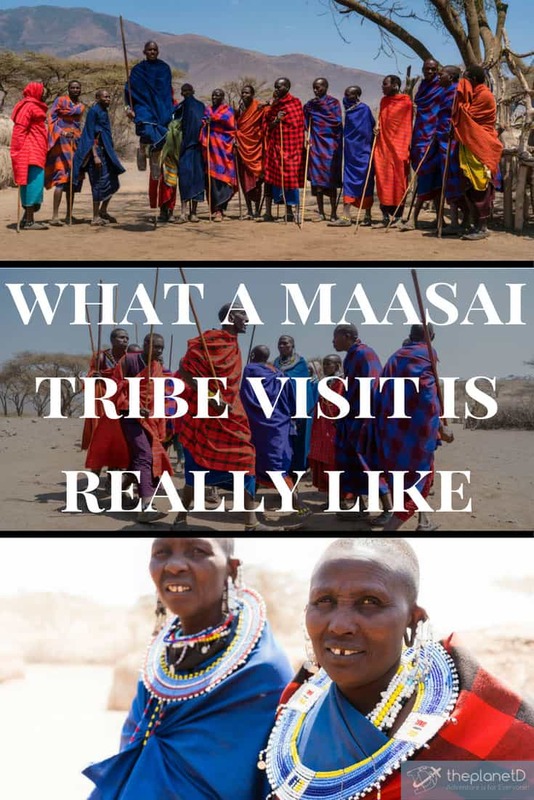 What a Maasai Tribe Village Visit is Really Like. You've all seen those amazing photos of Maasai warriors jumping high in the air with the arid African savanna as their backdrop. The scene makes for stunning photographic opportunities and it is certainly one of the ways you'll be able to capture the moment on your own. 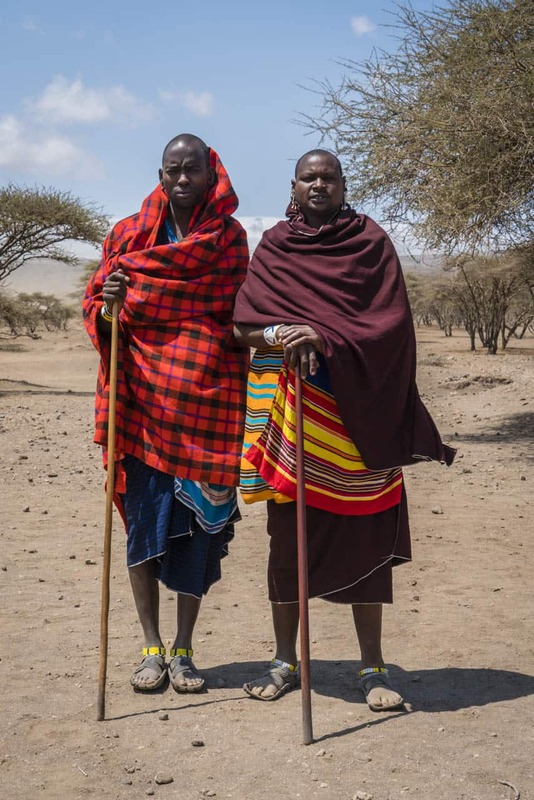 But the Maasai tribes of Tanzania are organized and well schooled when it comes to making money off of tourists. 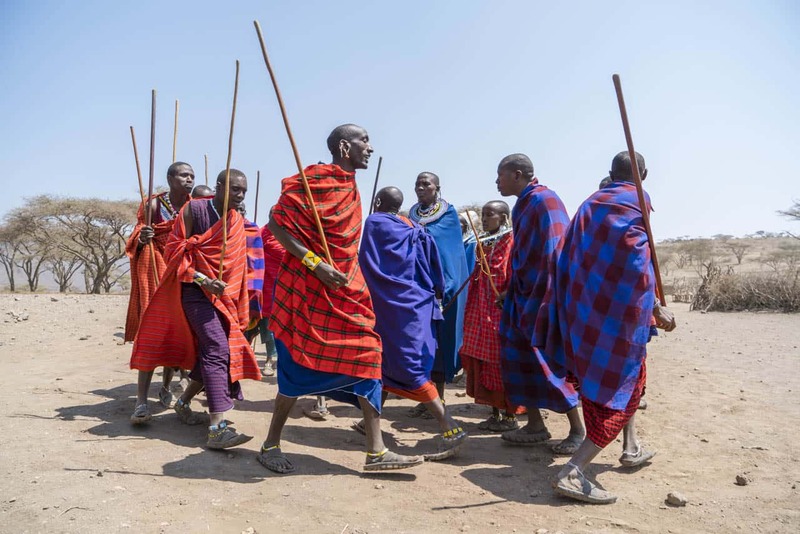 They will bleed you of your last Loonie (dollar) in your pocket if you let them, so instead, be prepared, know what to expect and you'll come away from your Maasai tribe visit with a smile on your face and a super cultural experience to remember. We were a group of 13 people on a Go Ahead Tours safari en route to the Serengeti National Park in the Ngorongoro reserve. Maasai Villages dotted the road along the way and different tour operators make stops at different camps. We were greeted with smiling faces and lively music as we pulled into the gravel parking lot of the village. 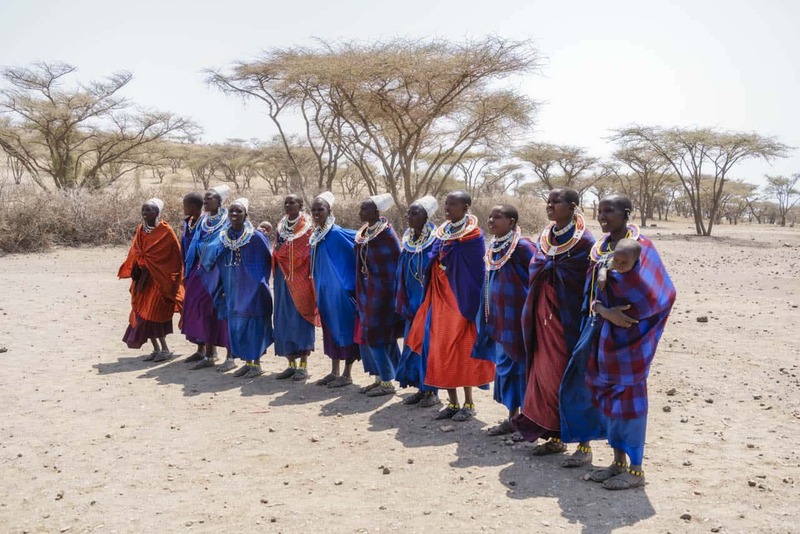 Maasai men dressed the males of our group in traditional sarongs as the women put necklaces and wraps around the ladies. Feeling the part, we followed them into camp as they chanted and sang. The circular camp consists of mud huts surrounded by thorn tree fence to keep the wildlife at bay. Livestock is traditionally kept inside the camp, but while tourists visit, the cows are out grazing in the surrounding fields. Inside, we learned of the villager's way of life starting off with a lively performance of men jumping for joy. What does all that jumping mean? The dance is a rite of passage for male warriors in the Maasai Tribe as their jumping skills are used to attract a mate. The higher they jump, the more appealing they are to the ladies. Speaking of the ladies, they all watch the scene on singing and chanting to a steady beat as the warriors jump higher. I didn't know it at the time that this was a mating dance, and I can't help but wonder now what all the laughing among the girls meant. 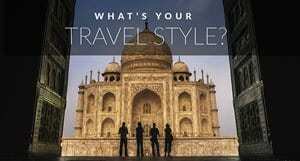 Was each young man jumping to impress them as much as they were trying to impress the tourists? All the women have amazing voices. I got the feeling that they didn't really care if we were there or not. They would have jumped for each other to impress the girls regardless. After all that energy and testosterone was expelled, the men went on to show us how they make fire. 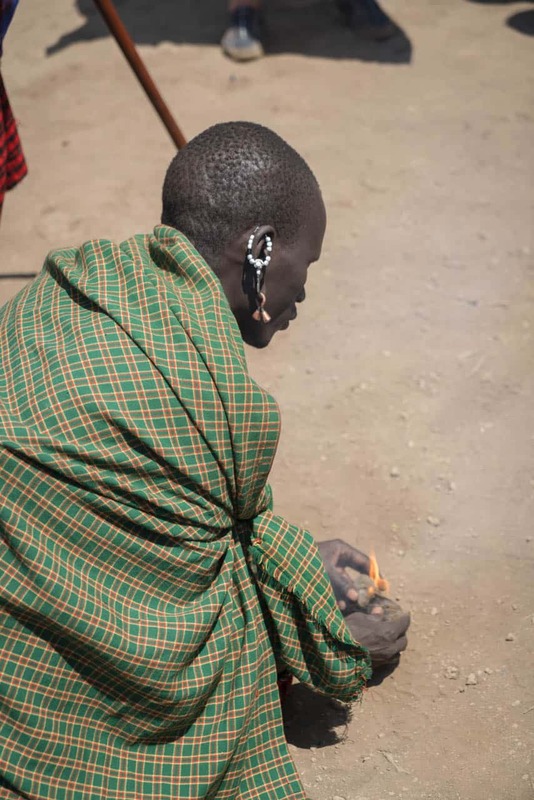 We had seen this before in Kenya and the Maasai men take pride in their fire making skills. They are often sent off on their own to learn to hunt, survive and thrive before coming back to the village. Making fire is a valuable skill and they do it only with sticks and dried leaves. Within minutes the fire is built and our warrior looks on showing the fire with great admiration of his skill. We recommend taking part in as many of these demonstrations as possible. It's fun to join the warriors in jumping and the women in singing and dancing. The more you participate the more you get out of it. 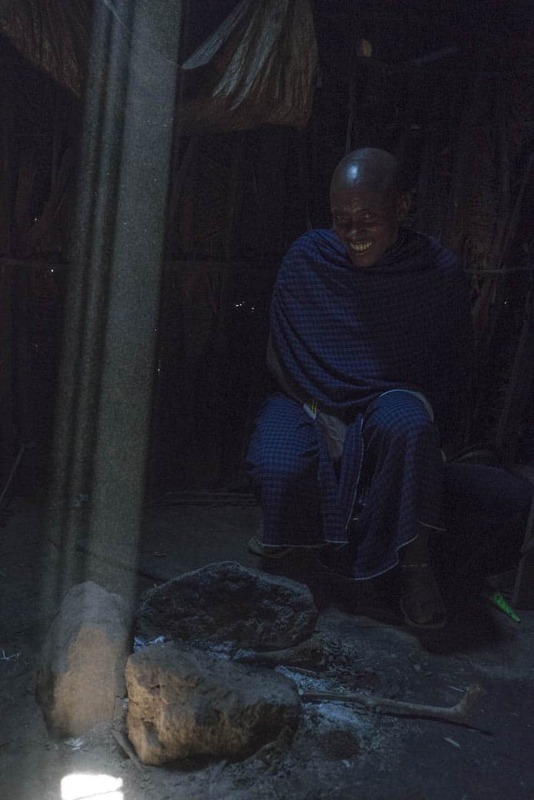 After the entertainment, everyone was broken off into smaller groups to enter the Maasai houses. 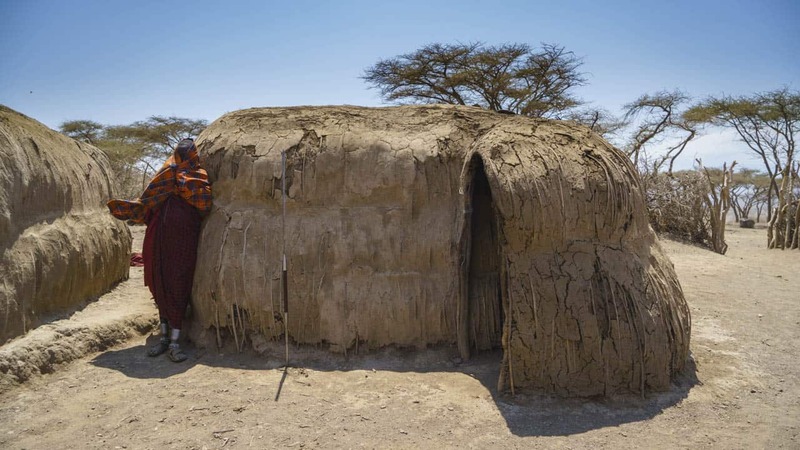 The Maasai live in simple mud huts. The houses are small and dark. They are made of mud and we are told that they last up to five years before they tear them down and start again. It's tiny quarters with two separate benches for sitting during the day and sleeping at night. Mom and dad sleep on one side and all the young kids sleep on the other. Once they reach the age of 5 or so, they move to another hut. I can't imagine what it is like to live in such cramped quarters. The inside of the huts are simple. The other half of the hut is the kitchen where food is prepared. There is a hole in the roof to let the smoke out. That is really all there is to tell. The huts are no bigger than a large family tent and they look far less comfortable. We heard from fellow travellers on our tour that the Masai live on a diet of milk, meat and blood. But our Maasai guide told us that they eat oatmeal for breakfast. They also forage for vegetables and eat maize. It is after the show and tell and performances that tourist need to be prepared. Once you finish up in the hut, you are led out to the centre of the village to browse jewelry and traditional craft. Dave and I always support the local economy and villages we visit. We realize that this is their main source of income and have no problem buying a souvenir or two within reason. We finished up our shopping and our Maasai guide took us aside away from the rest of the group to let the bartering begin. He didn't want any of us overhearing what each other paid for things and made sure to start the prices high. That was way beyond what we were prepared to pay for jewelry that we'd never wear. Maasai jewelry isn't my favourite choice of bracelet or necklace, but I don't mind giving some cash to buy them and have them in my collection. We started to walk away to the next stop on our tour, but he was quick to follow. “How much do you give?” He asked. Eventually he came down to $20 for two bracelets. That was still more than we wanted to pay, but we settled on $15 and a Canadian Toonie. Note: I will pay $20 for a bracelet. I actually paid $25 for a handmade bracelet at Shanga in Arusha, but it was beautiful, hand crafted and made by a disabled person. This bracelet was exactly like every other Maasai piece out there. It fell apart within days of buying and heck, I can never be sure if it is made by hand at the village or bought in China at this point. But as I said, I am happy to contribute to the economy. A word of caution, don't let the Maasai take you for all your cash on hand. Because the next stop is the children's school and you can donate to the fund to help in their education. 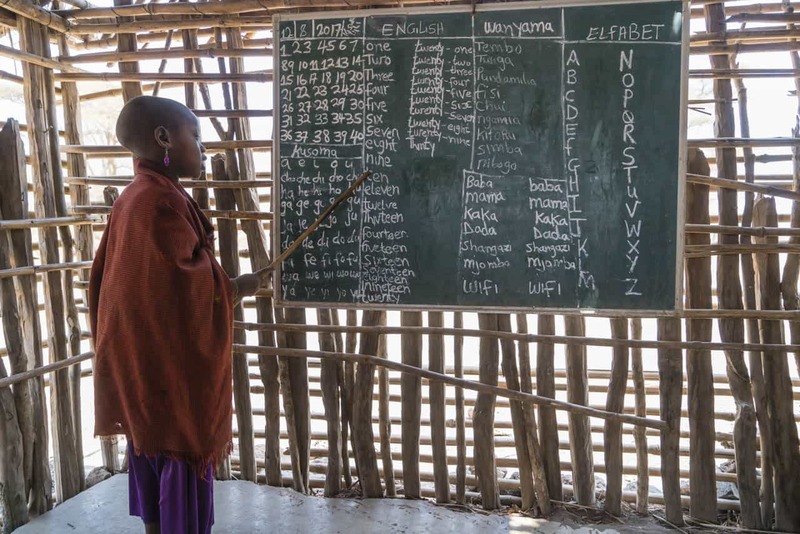 A lot of people ended up giving all their cash to the sneaky Maasai merchant and didn't have anything to donate to the school. I don't think it is the end of the world since all your money goes to the village regardless, but it does feel nice to be able to put a couple of bucks into the can. The school visit was cute, if not a bit staged. Children got up like robots to show us their knowledge of the English alphabet and number system. Our group stuck around for a little while to take photographs and noticed that we were still inside when the next wave of tourists came in. We noticed because the kids were back up repeating the show they had just put on for us a few minutes ago. 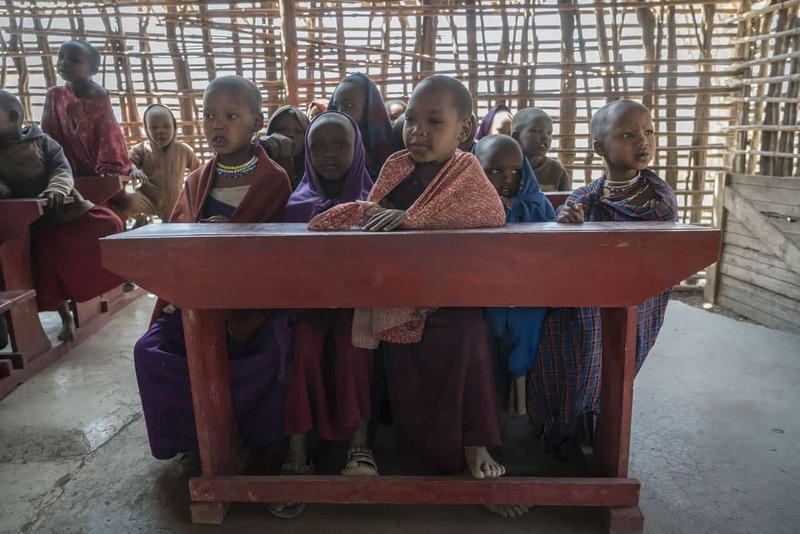 It was a little disheartening and I had to wonder whether the kids were being used to make money all day long, or if they just put up with us for a few minutes a day before going on with their studies. Either way, everyone looked healthy and seemed very happy. 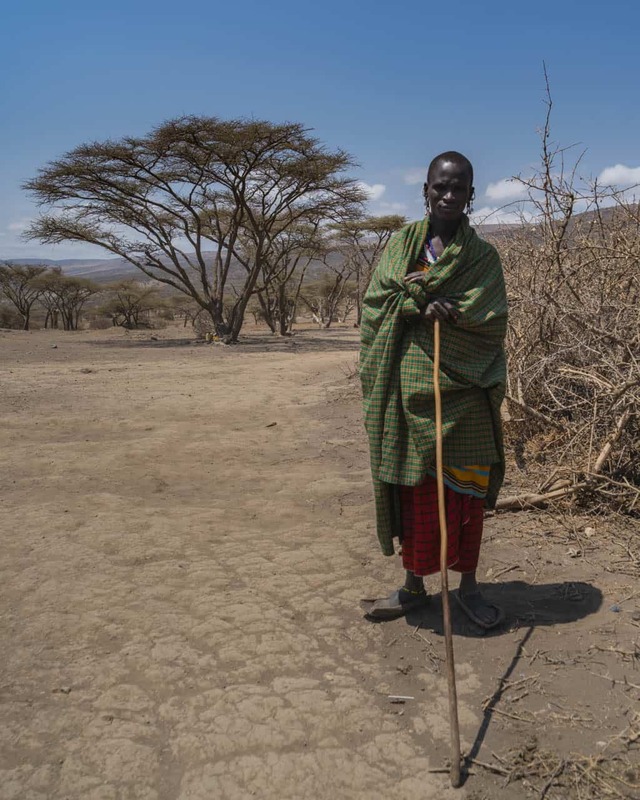 On our way back to the trucks, our “friendly neighbourhood Maasai merchant” approached us with the traditional necklace we turned away in his hand. He pulled us aside from the rest of the group and asked if we'd be willing to pay $20. And we said sure. He tried to trade out the necklace for a smaller more battered one when we went to pay, but we held fast. “Ah, that's not the one I wanted.” We smiled. He smiled and pulled the original out to give to us. Our transaction was complete. We went away spending $35 on a couple of Masai pieces and felt good about our purchases. But don't feel that you have to buy something when you do a Maasai village visit. The tour companies pay a fee to enter and the Masai are already making money off of your visit. The crafts are extra. While you don't have to buy anything if you don't want to, it is nice to get a keepsake for your memories and to help the local villages perhaps send a child to school. Some people on our tour came away feeling a bit dejected about the money they spent. They felt compelled to pay the first price quoted and once they were back in the truck they felt a little “taken.” I responded to them saying “As long as you got something to bring you memories that's all that matters. If you felt that the price was good at the time, then that is fine. Dave and I never told anyone in our group what we paid. We tend to be a little cheap after all our years of bartering around the world. We've worked on loosening our wallets over the years, but we still can't help but exchange back and forth when we know their prices are way too high. I do know that some people were relieved of close to a couple hundred bucks. That's an awfully good pay day for the village if I do say so myself. Our trip to Africa is in partnership with Go Ahead Tours, visit their website for more information on Tanzania Safaris. 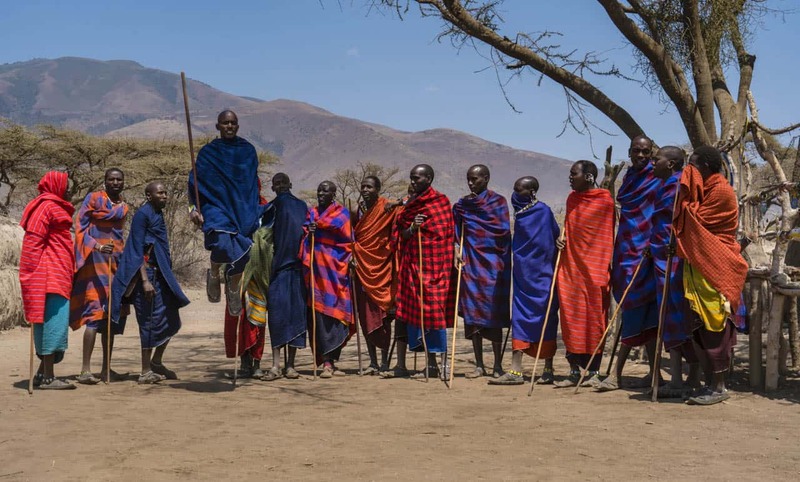 7 Responses to "The Maasai Tribe: What a Visit is Really Like"
I’m deciding to visit a village in August and the bartering and selling shouldn’t surprise anyone. Look where they live, what they lack. 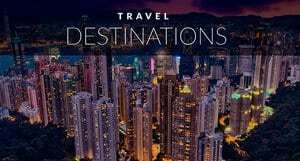 And your visits are seasonal for them. 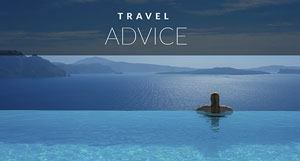 So like any tourist place, including Turkey, Italy, etc, the locals will try to get what they can. I don’t think you can go in naive. Your review is very honest, which is great. I visited China last year and visited a school and the kids also recited lessons. It’s the same in the US! Nothing wrong with any of this. I consider it a privilege to visit the Maasai and am willing to make a donation to their way of life. As for the cell phones, they are super cheap and the cellular plans are amazingly cheap in developing countries. Almost anyone can own them now so don’t think it’s a sign of hidden wealth! I love visiting people in other countries and look forward to my Maasai visit! I’ve always wanted to visit the Masai, but this article has give me some more food for thought with regards to the money grab. I can’t stand it when I feel continuously on guard. I will probably still get there one day, but at least now I will be better prepared. Thanks for an honest review. We also did a tour in Tanzania that was just like this. 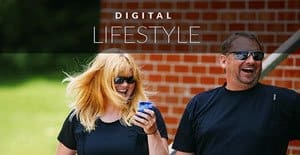 I felt it was staged also and haven’t had the heart to write about it yet. On our tour of a house I spied a cell phone on one of the beds and wondered how authentic this village was. I later heard the stops on major roads are for tourists and a bit of a show while the authentic Maasai were in more remote areas. 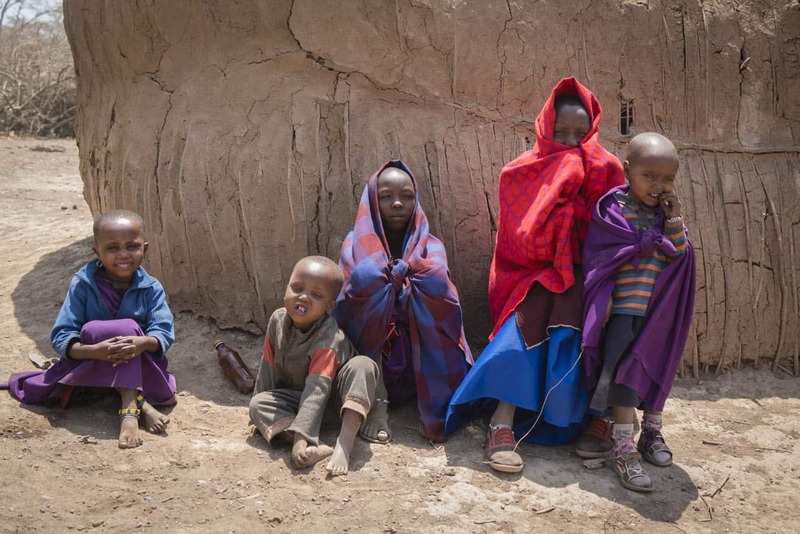 Here are our pictures: http://etabroad.com/en/visit-maasai-village-could-you-live-like-them/ we were in a bit smaller village. Thanks for sharing you experience. It is true. Dave and I mentioned to each other that we think the Maasai harnessed tourism early and have since seen it as a cash grab. While we understand it is the way they earn a living, they need to work on being less pushy and more sharing about their culture.